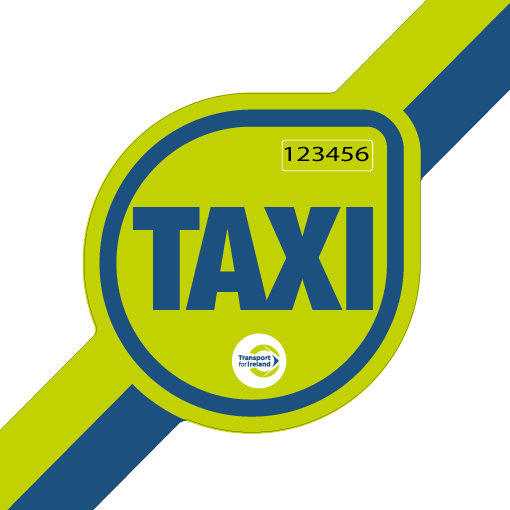 Looking for high quality taxi door stickers? We supply and fit taxi door signage as same day service. We have been approved by the NTA (National Transport Authority) for the supply and installation of taxi door signage required for vehicle license renewals and vehicle changes since January 2013. We take taxi signage fitting bookings either by phone or via the online booking form. To book by phone, please call us on 01 473 3331 or 01 473 2380 during office hours. Why have thousands of taxi drivers chose us? Note: While we take all necessary precautions, we can not accept responsibility if paint damage occurring due to removal of old stickers! What does it comprise of?